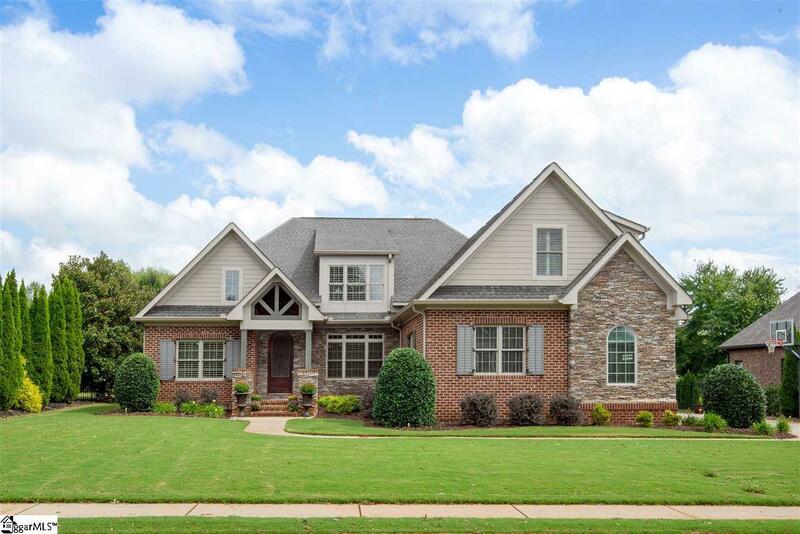 Gorgeous custom-built brick and stone home with THREE car garage and uniquely flat fenced back yard, all nestled behind the secure gates in the exclusive Columns at Roper Mountain! Hardwood flooring throughout the home. The open, flowing floor plan features TWO bedrooms on the main living level along with a covered and screened back porch. 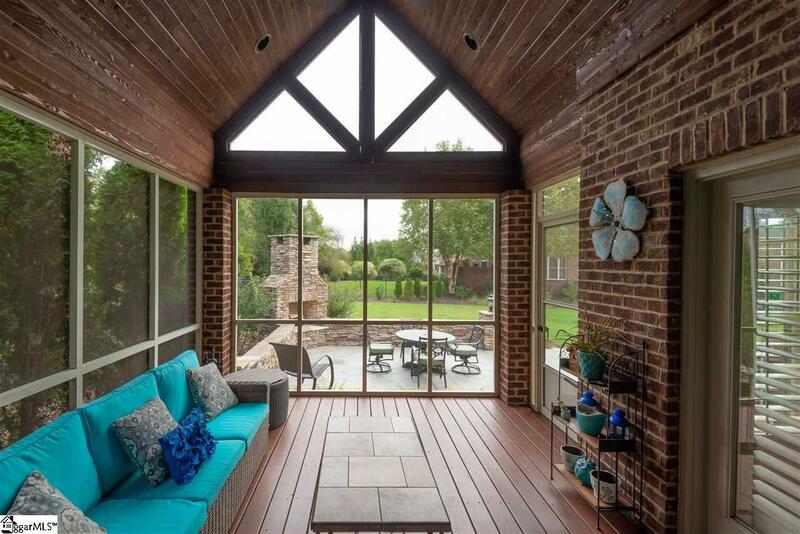 The screened area overlooks the perfectly flat back yard with an aluminum ornamental fence. 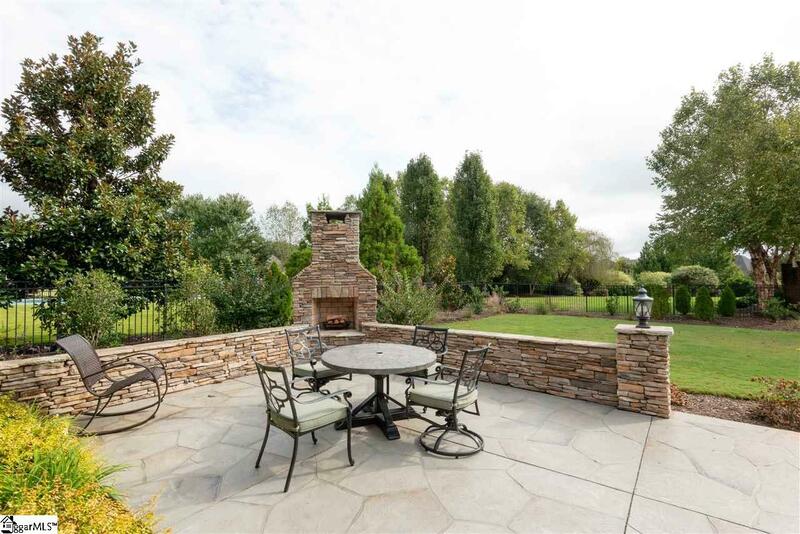 Enjoy cool evenings or morning coffee on the custom patio with an outdoor stacked stone fireplace and sitting walls. Inside youll find two additional fireplaces in both living areas, a fully equipped kitchen with walk-in pantry, and many custom featurescomprehensive security system, central vacuum system, plantation shutters throughout the home, and heavy moldings to name a few. The master suite features an oversized bathroom with jetted tub, jaw-dropping tiled shower with dual sprays, and a walk-in closet with custom closet organization system. The upper level offers private space for family members or guests with two bedrooms, each with their own ensuite full bathroom, and a sizeable bonus room. Extra features and luxury finishes includestunning decorative entry door, full lawn irrigation system on a timer with drip lines, custom closet organization system in the upper bedroom, four FULL bathrooms all with tiled showers and comfort height (elevated) vanities, attic storage and a professionally landscaped yard. 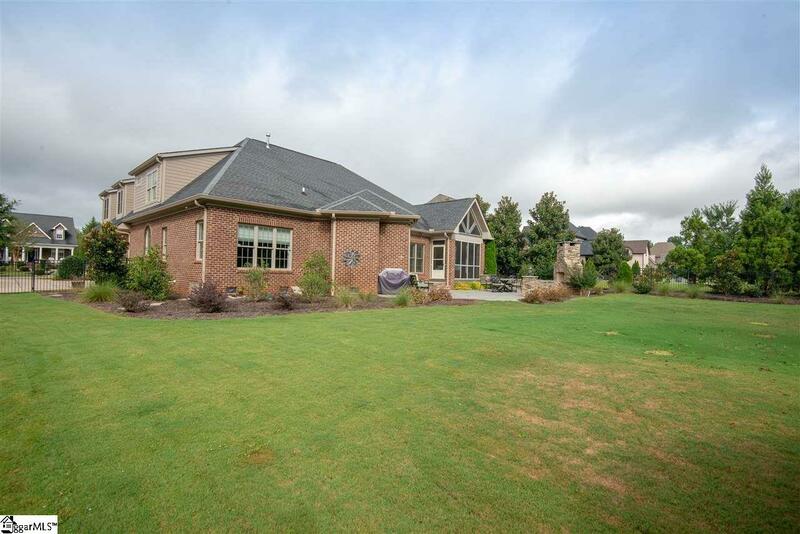 Ideally located on Roper Mountain Road with very easy access to Woodruff Road, shopping, dining and healthcare. Zoned for desirable Oakview Elementary, Beck Academy Middle and JL Mann High Schools. Listing provided courtesy of Julie Cwynar of Keller Williams Grv Upst.